Sometimes it is too late. 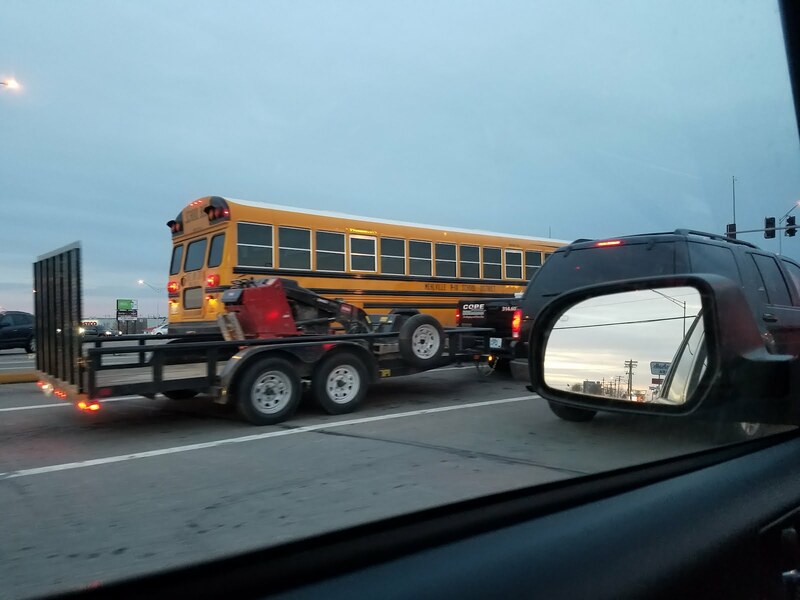 I was stuck behind this bus for a while today. Usually I don’t mind but today the fumes hit me hard. I’m not sure if it was the uneasiness and unknown outcomes of a meeting today or the music we were playing but it transported me back to a time long ago. The diesel fumes always remind me of ship. While stuck in the tank deck with all the tracks fired up you choked on the fumes. I can still feel the burning in my throat and stinging in my eyes. 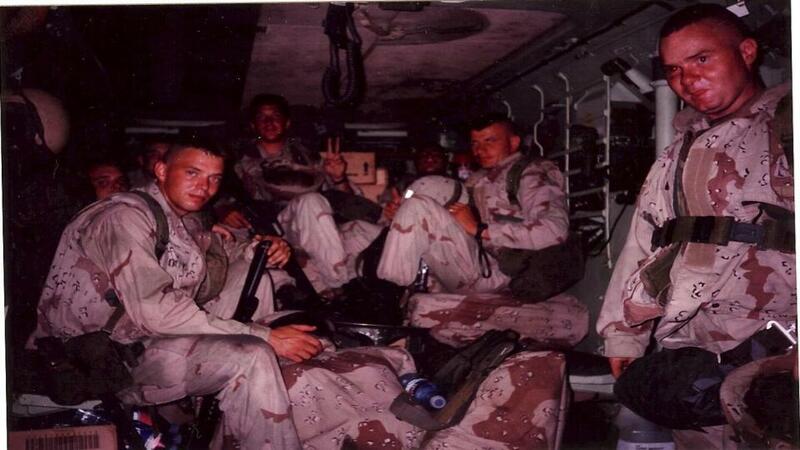 Here are the guys just before we splashed to make our way to a position just south of Mogadishu. Much of your military life is filled with equal part of total boredom and anticipation, that day was no different. A few years ago I began searching for some of the guys on social media. Johnson, Recor and Sgt. Sowers were found pretty quickly but I couldn’t find Rothfus. Sometimes people like to say that it’s never too late, there is time, etc. I’m not so sure. While all this starts to eat at me there is something I can do. I’ve got a rough list of who I need to thank, talk to and just catch up. I need to do this before it is actually too late. Next Post 45 things to remember. I cannot imagine how hard that hit you when you found out. I'm sorry for your loss. What a hard think to learn from the internet. I, too, am so sorry for your loss. Thank you for your service! I hope that you are able to reach out to his family and let them know how much you appreciated him, how much he is missed. He must have been a special guy for you to work so hard to find him and thankfully you did. I'm sure he knows you were there. Thank you for this post! It makes me think about my brother who is currently overseas…somewhere….. Good luck finding all your thank yous! 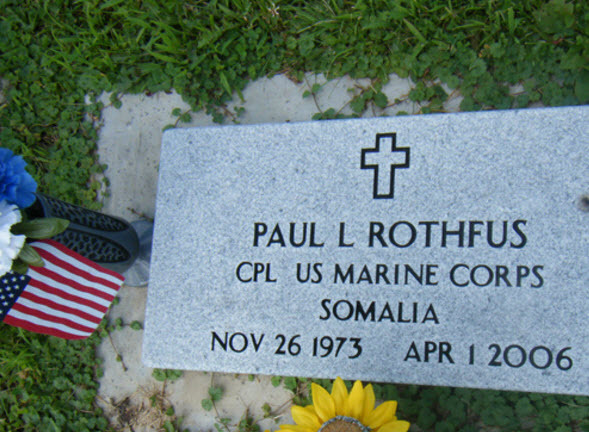 I am sorry for your loss and so thankful for your service. Thank you for the reminder that tomorrow is not a promise no matter how much we wish it was. i am so sorry – my husband is in the army and he is a recruiter now and he does not talk often about Iraq/Afghanistan.